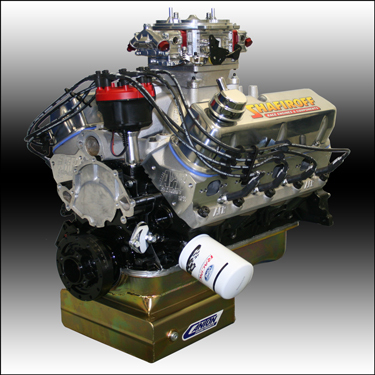 You Asked For It - Our "302 Style" Small Block Ford Sportsman Engine! It's Been A Well Kept Secret That Scott Shafiroff Has Always Had A Soft Spot For Ford Race Engines Since His Pro Stock Mustang And Comp Eliminator Days. These State Of The Art Precision Crafted Race Engines Are The Result Of That Fondness! (1) Front or Rear Sump Available.